Phelim McDermott: We were told it was a 19 million dollar musical, before we came on board. So that “kerching” figure was a presence in the room always. And its manifestation of that in the room was mostly expressed as fear. 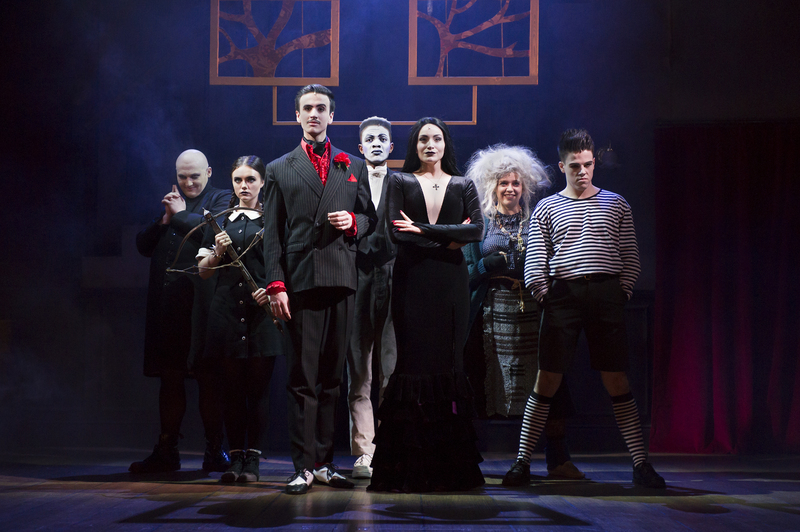 Phelim McDermott: What was interesting about The Addams Family is that I think the intentions were incredibly good; there was a dream to put a team of collaborators together who would come up with something very interesting. But how one holds the space for that to happen is incredibly challenging because you’ve got all these people saying “it’s got to be this”, “it’s got to be that”. And actually the process is mostly about that. The process is not about creating the show, it’s mostly about managing fear. Mark Shenton: And conflicting tensions. I mean everyone’s got their own view and they all want to participate. 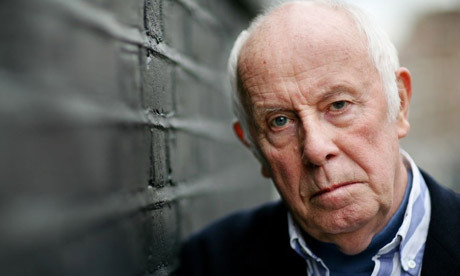 Phelim McDermott: Well, I think that everyone does have the same view, which is to make a great show. But as soon as fear comes in and comes down to the next level, everyone has an idea of how to do it but it’s different. It makes me think of Supergroups in the 80’s where they used to say we’ll have that person from that group and that person from that group and they’re all amazing and we’ll put them together …it’s like a formula and actually I think you’ve got to create the space where the holding space is bigger than the formula. That could work but the shared intention has to be really genuine around what that is. Sometimes this thing comes up in subsidised theatre where people say “we’re upholding the right to fail” and I think that’s confusing because it sort of seems to imply somewhere a perverse desire to fail, as if we didn’t want to create a good show. But I do think the relationship to investment is different with subsidised theatre than commercial theatre because I think in the former the money comes to the project and it’s given and there’s not a sense of “we’re going to watch every step of the way to make sure that you might come up with the goods”; it’s kind of like we give it you for this period of time and if it happens it happens. Which could still happen in non-subsidised theatre but it’s like a game you have to play. It’s like every show you create, of course you want it to be fantastic but you have to play the game of “unless we are able to think it might not work (whilst still wanting it to be brilliant), unless you can really allow that thought in you’re not really allowing yourself to go anywhere new”. Mark Shenton: Of course the difference is one of process as well – the fact that the National could workshop the Tori Amos piece and decide it’s not fit to go, and then delay it. Whereas you’ve got a runaway train, when you go to rehearsals you know that if you preview in Chicago you have to open on Broadway. Mark Shenton: At ENO, the Phillip Glass opera? Phelim McDermott: And in that process of trying to sort it out in try outs and whatever, then the response of the audience is so moderated by the things that they’ve read about what’s happening in the press about whether this person’s being funny, all this stuff, sort of stops that container that you end up with. Basically what you end up with is everyone gets removed from their own authentic impulses, including the director. So by the time you get to the point where the show is opening in front of an audience, you’ve got absolutely no idea what’s working and what’s not. Because you’re sort of fielding all these opinions. Mark Shenton: And that’s when they send in the show doctors to kind of sort you out as well. Phelim McDermott: Yes, or you find out about show doctors coming in, when you’re out of the country. I think this is the thing, it’s like “we can fix it, we can fix it”. And one part of the experience was we want your process, we want what you do but you’ve never done a Broadway show before, which was true, so you go well, I want some advice so they give you advice but you end up sort of not trusting yourself because you end up not believing in your own process. So you sort of try and moderate yourself to what you think the expectation is, because this is Broadway. And of course it’s a very different culture because it’s a culture where you sit in a room. Auditions are sort of people being channelled before you and that’s not how I would normally do auditions. I would audition by trying to find out who I trust and who would trust the way I work. Mark Shenton: Of course, it’s a machine, that’s the bottom line. Phelim McDermott: And there are some things I do not know about, and that can be seen either as a problem or an asset. Phelim McDermott: It was in ancient Sankskrit! Mark Shenton: It was, which you know inside out! 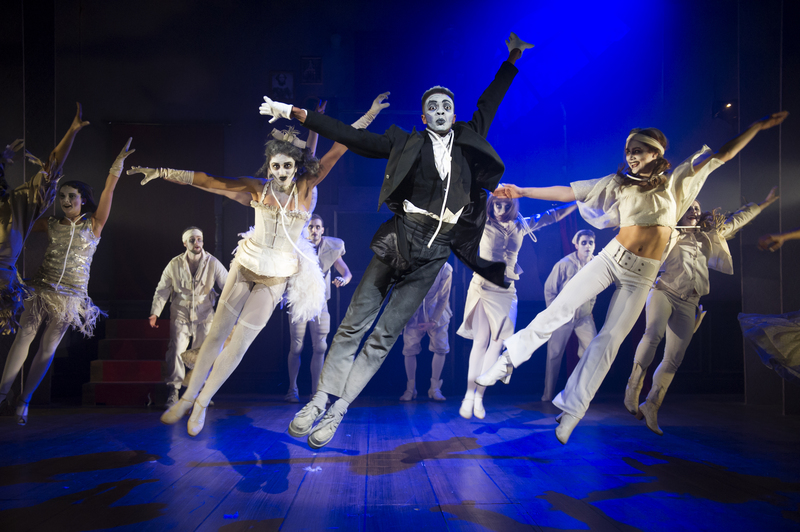 However, you had a script and you knew what it was whereas with The Addams Family the text and the score were all in development, so you were part of that whole process. Phelim McDermott: If one’s process is a devising process, how does one have a conversation with a more traditional process, where someone writes the music and the book and you interact with that? And I would say there were certain moments when we managed to do that. There were certain moments when we managed to get into a room and do some stuff that might be a bit like what we do, but not very often. Mark Shenton: Because you were working with Julian Crouch, the co-founder of Improbable – he was the designer? Phelim McDermott: Well actually we were joint directors, joint designers – we went in as a package. You know, every show you go into you don’t know how you will do it. You’ve got all this history of making shows but at the end of the day you’re in this room with these people and you try and work out how to do it together. And I would say that process was…it was interesting because it was a sort of shock. It was incredibly difficult I would say, on an emotional level. And we opened the show in Chicago; the box office did incredibly well, the response from the audience was incredibly positive as these things go. It made nearly 11 million dollars in that run. And at that point people go, well what do we do now? And I think there’s an impulse to go: how do we make it better, we have to do something, we must show that we’re doing something. And I think the courageous thing might be to not do something and actually hold the space for the thing to grow. I think there was a fundamental disagreement as to what that process should be at that point and you know, fair enough, I got sort of spat out and it’s great cos I don’t have to think about it anymore. Mark Shenton: Except today – sorry for reminding you! Phelim McDermott: It’s taken a bit of time. You know, these processes are incredibly tough, like machines and I think I did pretty well out of it. Mark Shenton: Of course, the other fly in the ointment in this process was the gossip columns, the New York Post, who all went for the show big time and also the local press who all played their part. How do you feel about critics? Phelim McDermott: I sort of love critics as I’ve got lots of them in my own head and most of the stuff that goes on outside, I’ve heard it already. And that thing about staying awake is kind of part of it. I’ve had things where you’ve done a show and gone, god those reviews were really harsh and actually I go back four years later and I read those reviews and they’re nowhere near as harsh I think they were, interestingly, and I go: actually that was that critic out there combining with my own critic. And the other thing is you realise, some of those things are absolutely spot on. I’ve had that, not all of the time of course because some of them are absolutely “aah”. And what that’s about I think is about the rawness of how you are at that point and your ability to hear things and as I say, in a process where you’re very removed from your own impulses, that just ramps it up. And I think there is a sense of responsibility around what critics do and can do around a production. Phelim McDermott: Marcia Rosenberg says this great thing: advice without empathy is always toxic. And I don’t think anyone will ever really know what it’s like to put on a show like that. You have to go mad and you have to give into that process. Getting spat out from the process was very strange; I kind of woke up and went “I’ve been in this for three years”. So I was walking round looking at all these musicals in Times Square and I thought “wow, I thought this was interesting”. Because you have to in some way. And then to come out the other side, to fall from grace and you go this was a thing I had to go through a love affair with in order to commit myself, and then maybe it’s time for a real relationship. Mark Shenton: Of course Julie Taymor more recently experienced much the same sort of thing, potentially on an even larger scale on Spiderman. Much like your story, she got into The Lion King through an experimental theatre group, they gave her a free rein to create the show and she created magic. The producers of Spiderman wanted her to create that magic again and it doesn’t just magic up, as it were. Mark Shenton: You said before we came on stage that a lot of metaphors they use in Broadway Theatre are to do with warfare. Phelim McDermott: Everyone’s talking military metaphors: “I’ll watch your back”, “when the shooting starts”. Meanwhile we’re trying to create a musical about love. So I don’t know but maybe it’s about trying to change the metaphors in some way. And a musical about love is, in fact, is exactly what was created, by a very different process, at ArtsEd. No one was being hit by cross-fire, but a musical production was being created as the best possible showcase for their students’ talents. 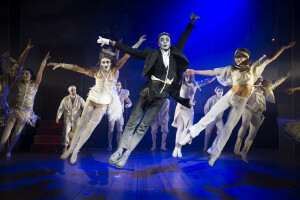 The professional creative team – including director Gary Sefton, choreographer Nathan M Wright, designer Katie Lias and musical director Caroline Humphris – provided an inventive but safe environment for the cast to do exactly that; and with fear out of the room, suddenly the show itself was much better than I remembered it. Amongst the winning performers: Nathan Elwick leads with panache as Gomez and Leah Barbara West is like Patti LuPone crossed with Cher as Morticia. There was also terrific work also from (an unrecognisable!) 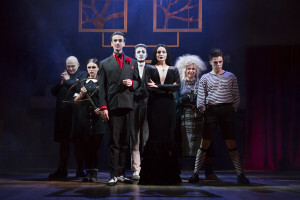 Tom Bayliss as Fester; Matthew Chaseuk as Pugsley; Omari Douglas as Lurch, Victoria Brown as Wednesday;Patrick Sullivan as Lucas; and David Burnip and Mairi Barclay as Lucas’s parents. What they and the rest of the brilliant ensemble was doing was supporting each other and the show, instead of competing with each other as happened on Broadway to keep the show from sinking under its own leaden weight. 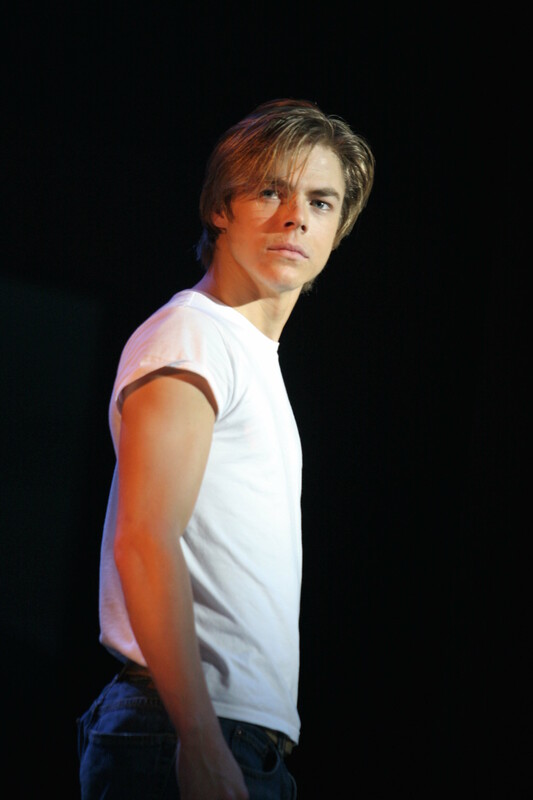 Currently: Starring as Ren McCormack in the West End premiere of the 1998 Broadway musical adaptation of the 1984 film Footloose at the Novello Theatre, in a new production directed and choreographed by Olivier Award winner Karen Bruce. It is Derek’s first professional principal role. Hometown: “I’m originally from Salt Lake City , Utah ,” says Derek – “a very Mormon populated community, where there are beautiful mountains; it’s a great place. And actually the film Footloose was filmed in Utah – in fact, I grew up literally in viewing distance of the mill where it was filmed. That was the claim to fame of the area, being in Footloose!” But he doesn’t remember it: He wasn’t even born till 1985, a year after it was released!